Ben’s makes gift giving deliciously easy! Gifts, Gags & Goodies can be purchased at any Ben’s location or call 1-800-427-BENS. Your friends at Ben’s proudly offer an attractive array of gift items that are perfect for your family, friends, and business acquaintances… near and far. There’s never been anything like it, and that’s why we’re sure you’ll like it. Among our unique and exciting selections you’ll find funny and yummy gifts for practical jokers, practical noshers, practically anybody. Each features the delicious deli delicacies that have built Ben’s reputation for the finest since 1972. Make a bold statement… a conversation piece at any occasion! XL only. Great for 4th of July or any other day you just feel patriotic! L or XL. Message front: 1st Course, 2nd Course, Ben’s of Course; back: Ben’s Logo. L or XL. complete with apron, chefs hat and bowtie. wearing a Ben’s mini-T… sure to put a smile on someone’s face. Wear the cap of the real winning team! One size fits all. Navy blue. Closed back only. Message “Ben’s Has You Covered.” One size fits all. These 8 oz. mugs makes for great conversation pieces. Coffee not included. It can be less filling and taste great at the same time! Sorry, but this item is BYOB only! Kosher delights ready to be picked up at your favorite Ben’s location. The City’s best… a whole navel pastrami and extra lean corned beef, a 2 lb. chunk of salami, 6 square knishes, plus deli mustard and fresh rye. Ebbets Field sandwich hits… with at least 2 lbs. of navel pastrami, 2 lb. salami, half sour pickles, deli mustard and fresh rye. Deli salami is a delicacy… minimum 6.5 lbs. Hebrew National whole salami. Have your way with it. 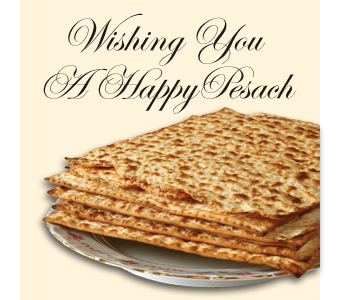 Kosher wine, salami, mustard, grape juice, pasta, “Jewish” fortune cookies, halvah, chocolate and more! For anyone you like a lot, such as In-laws. For anyone you like twice as much, such as anyone else. *We do not ship these items. Click on a photo below to view the full-size gallery.